Pearl Chambers was born on Dec. 28th, 1934 to William (Bill) and Dottie (McCloughan) Soles in their home, with the help of a midwife, near Millboro, SD. When Pearl was around 6 years old they moved to a different home just south of Millboro. Pearl would walk 3 miles every day to school. When she was in 6th grade she would walk 1 ½ miles through pastures to school. Then her 7th and 8th grades she attended a little old home school that was a 4 mile walk. Pearl worked for her room and board while attending Winner High School during her 9th and part of her 10th grades. After all the children had grown up, Sharon tutored Pearl so she could get her high school diploma. It was such a proud day in May 1987, when she passed the exam. She couldn’t wait to call Sharon with the news. When Pearl met Clyde Chambers of Millboro, son of Bert and Alice (Dummer) Chambers, she was 15 years old. Clyde would ride his horse over to Pearl’s place and she would get on her horse and off they would go on their date. They joined in marriage on Sept. 17, 1953. Pearl was 19 and Clyde was 21 years old at the beginning of their life journey together. Immediately after the shower they left for a short honeymoon in the Black Hills and made their home in Central City. Pearl worked at the Lead VA Hospital. Then they moved to Emmett, ID. Charlotte Arlene was born July 29, 1954. Pearl and Clyde stayed with Ellen and Marion Goslin where Pearl worked at Jim Canning Company. Pearl and Clyde also picked apples and in the spring picked strawberries. April 11, 1957 Cathalene Ann was born. They moved back to Idaho for a brief time. Because of the altitude they moved back to SD. They rented a place south of Clearfield where they raised pigs and milked 38 cows. May 19, 1961 Sharon Eileen was born. Around 1965 Pearl and Clyde moved the family to the John Chleboun place and eventually bought it. Pearl lived there until October 2015. It was a very hard decision to sell the place in March 2014, but Clyde was diagnosed with only 6 months to live so he made the decision to sell. He did not want Pearl to have to deal with selling the property after he was gone. Pearl was a charter member and the 1st President of the Winner Does, 2 term President of the local Farmers Union, President of the America Legion Auxiliary and was a current member, life time member of the VFW, and was involved in many committees. Pearl and Clyde were always volunteering either at the VFW, Legion, or the Elks Lodge. She loved being active in the community. The time came and she was ready to get a job in town. She was very excited to work at the South Central Adjustment Training Center; Pearl also worked at Beverly Enterprises and in 1987 was selected as Employee of the Month. In 1994 Pearl started working at Coast to Coast (True Value) she was only about 6 months from being there 20 years and really wanted to go back. Due to Clyde’s health and then her declining health, she was not able to. From the end of 2013 through Oct 2015 Pearl, and Clyde until his passing, lived part-time with Sharon Novotny in Sioux Falls SD. Oct 2015 Pearl moved in permanently and in June 2016 moved with the Novotny’s to Anthony FL. Pearl loved to eat the grapefruits that were picked off the tree in the yard. She attended many plays that her Grandson was in and on her 82nd birthday, Cody and Toni Novotny surprised her by taking her back stage to meet the cast of one of his plays. She enjoyed sitting outside and watching the horses next door. Pearl loved the family’s 2 dogs and cat, and loved when the cat would lay on her lap. Pearl was making all the decisions up to the day before she passed. She wanted to go to the Legacy Hospice House so the 2 little dogs could visit her one last time. Her wish was granted she loved them so much. Pearl passed away the next morning, at the Legacy House, with Sharon by her side. 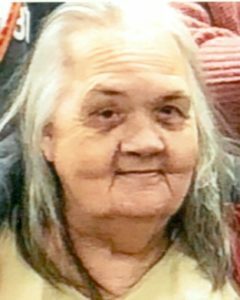 Melinda Jean (Schlaht) Kruse, age 57, of Luverne, Minn., passed away on Tuesday, Jan. 16, 2018, at the Sanford Luverne Hospice Cottage surrounded by family. Her diagnosis of metastatic pancreatic cancer was Dec. 6, 2017. She was born April 1, 1960, in Burke, SD to Maurice and Sylvia (Iler) Schlaht. She attended Burke Elementary and High School, active in band and chorus, graduating in 1978. Melinda earned her Secretarial Degree from Mitchell Area Vo-Tech. Later continuing her education at Lake Area Vo-Tech, where she obtained her Dental Assistant Degree. Due to her health, Melinda recently resigned as general manager for TJ Enterprises. Melinda treasured her time with family and adored her children and grandchildren. She enjoyed being around people and making them laugh. She found pleasure in playing the piano, Yahtzee, puzzles, crocheting, and reading. Melinda will be remembered for always thinking of others before herself. Her love, care and concern had no boundaries. She was a member of the United Methodist Church and Order of the Eastern Star. 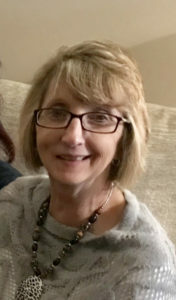 Melinda is survived by her two children, Whit Kruse (Alissa Schmitt), Magnolia; and Jennifer Kruse, Adrian; three grandchildren, Aliyah, Dominic and Olivia; mother, Sylvia Schlaht, Burke, SD; four siblings, Maurie (Cheryl Hoffart) Schlaht, Jr., Gregory, SD; Gregg (Joan) Schlaht, Lockhart, TX; Brenda (Arlyn) Klundt, Lead, SD; and Jody (Pat) O’Brien, Okoboji, IA; and many nieces and nephews. She was preceded in death by her father; Maurice Schlaht Sr.; and a niece. A memorial service was held on Jan., 19 at 10 am at the United Methodist Church, in Luverne, officiated by Pastor Theodora K. Hall. RoseMary Powell the daughter of David J. and Hazel J. (Merchen) Powell was born on Dec. 7, 1941 in rural Winner, SD. She grew up and attended schools in the Winner area. RoseMary’s most rewarding job was that of taking care of her family as “Mom” and “Grandmother”. Rosemary also worked as a team member for Jack Links for 12 years. RoseMary enjoyed camping, fishing, gardening, and playing pool. Rosemary loved cooking and was considered to be the best at her job by her entire family. Her family was very important to her and she loved spending time with her family and friends. She also enjoyed spending time with her dogs. Grateful for having shared in Rose’s life are the love of her life, Keith Songer; her sons: David (Joni) Tracy of Norfolk, NE, Darrell (Kari) Songer of Huron, SD, Donald Songer of Dallas, SD, Douglas Songer of Huron, SD, Duane (Ruth) Songer of Huron, SD; Brian (Tonya Petersen) Songer of Huron, SD, and Timothy (Leslie) Songer of Huron, SD ; daughters: Charlotta Schieffer of Riverton, WY, Carolyn (Kurt) Wallace of Arlington, SD, and Vickie Songer of Huron, SD; 27 grandchildren; 12 great-grandchildren; brothers, Richard (Myra) Powell of Winner, SD and Don (Connie) Powell of Parkston, SD; sisters, Darlene (Bill) Determan of Pierce, NE and Betty (Harold) Lund of Sand Springs, OK; and several nieces and nephews. Rose was preceded in death by her parents; 2 sons, Daniel and Jimmy Songer; brothers, John and David Powell; granddaughter, Rebecca; and great-grandson, Ethan. Donald was born on May 16, 1932 in Kennebec, South Dakota. He graduated from high school in Winner, SD and then he served in the US Navy from 1951 to 1955. 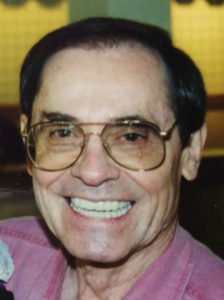 He graduated in 1959 from the School of Mines and Technology in Rapid City, SD with a Bachelor Degree in Electrical Engineering. He completed his master’s degree at the University of Southern California. He moved to Los Angeles in 1959 where he started working for the Hughes Aircraft Company as an electrical engineer. His first project was on one of the pioneering large-scale computer-controlled test systems for the US Air Force to test the Minuteman Missile Guidance Systems. He continued as a Systems Engineer on Hughes Satellite Systems and their ground control equipment. He retired from the Hughes Aircraft Company Space & Communications Group in 1991 as a senior scientist. He was preceded in death by his parents Clio Noy Vesely and Eliane Christine Neuhaus Vesely, both of Moser, S.D. ; and by his sisters, Clione Vesely, of Glendale, CA and Marilynn Vesely, of Riverside, CA. He is survived by two sisters, Bonnie Wann, of Riverside, CA and Mickey Steiger, of Sturgis, S.D. ; niece Bernadette Merrill, of Riverside, CA; nephews, Don Fink of Baker, OR, Con Fink of Riverside, CA and Rock Steiger of Sturgis, S.D. William Michael Reis was born Oct. 11, 1955 in Chamberlain, to Dennis and Arlene (Krech) Reis. He grew up on the White River bottom, where he learned to grow up tough after being bitten by a rattlesnake. He attended Bull Creek Country School through the eighth grade and Chamberlain High School, graduating in 1973. After high school, he attended the University of South Dakota at Springfield for one year. He then returned to the ranch and worked with his father, and continued working there until his death. On Oct. 18, 1980, Will was united in marriage to Pamela Fisher at Winner, SD. They made their home on the ranch. To this union three children were born: Brian, Katie, and Andy. Will was a supervisor of the American Creek Conservation District, a member of the Reliance Jaycees, an RACD charter member, and a member of the Zion Lutheran Church. He was a big fan of the lawn mower races, where he was Brian’s one and only pit man. He took pride in his cattle herd, knowing each cow almost individually. He originally raised primarily Herefords. As markets changed over time, he transitioned to raising more Angus, which he sure cussed a lot more on cattle working days. Will passed away on Jan. 14, 2018, at his home in Reliance after a short battle with cancer. 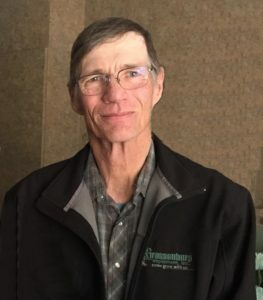 Gratefully sharing his life are his wife, Pam, of 37 years; son, Brian and his wife Jenna Reis, grandson, Briggs Reis, of Plankinton; daughter, Katie and her husband Matt Wiederrich of Sioux Falls; son, Andy Reis, of Reliance. Preceding Will in death were his parents Dennis and Arlene Reis and an infant brother Gerald Reis. By Bob Gardner, Executive Director of the National Federation of State High School Associations and Dan Swartos, Executive Director of the South Dakota High School Activities Association. They don’t make the headlines, their names are not in the box scores and they don’t make the all- star teams, but perhaps the most important individuals in high school sports are the contest officials. These individuals are so important that, in fact, there would be no organized competitive sports at the high school level without the men and women who officiate these contests every day across the country. Subtract the dedicated men and women who officiate high school sports and competitive sports would no longer be organized; they would be chaotic. Anyone looking for a unique way to contribute to the local community should consider becoming a licensed high school official. For individuals who played sports in high school, officiating is a great way to stay close to the sport after their playing days have ended. Officiating helps people stay in shape, expands their social and professional network and offers part-time work that is flexible, yet pays. In fact, officiating is a form of community service, but with compensation. Another benefit of officiating is that individuals become role models so that teenagers in the community can learn the life lessons that high school sports teach. Students learn to respect their opponents and the rules of the game and the importance of practicing good sportsmanship thanks, in part, to those men and women who officiate. And the objectivity and integrity that high school officials display is an example that every young person needs to observe firsthand. In short, communities around the country will be stronger because of the life lessons that high school officials help teach the next generation. Officiating is a great way to stay connected to sports and to give back to the local high school and community. We need dedicated men and women to become involved so that high school sports can continue to prosper for years to come. 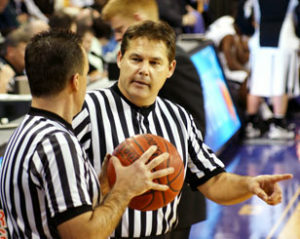 Individuals interested in learning more about becoming a high school official, and even begin the application process, can do so at www.HighSchoolOfficials.com. The developer of the Keystone XL pipeline announced Thursday that it hopes to begin construction next year following an alternative route approved by Nebraska authorities, but an opponent voiced doubt that the pipeline will ever be built. Part of the pipeline will pass through Tripp County. TransCanada Corp. said in a news release it has secured enough 20-year commitments from oil companies to ship approximately 500,000 barrels per day through the pipeline. The company previously said it needed time to evaluate the commission’s decision and line up potential customers. The proposed route cuts through a large swatch of rural western South Dakota. “Over the past 12 months, the Keystone XL project has achieved several milestones that move us significantly closer to constructing this critical energy infrastructure for North America,” Russ Girling, TransCanada’s president and chief executive officer, said in a statement. The Nebraska Public Service Commission in November approved a route that would extend the pipeline by 5 miles (8 kilometers) more than TransCanada had initially proposed, and requires the company to build an extra pumping station in the state. The company, based in Calgary, Canada, said Thursday that it would accede to the commission’s demands in order to move the project along. The project has faced intense opposition from environmental groups, property owners along the route and Native American tribes, who consider it a threat to their groundwater and property rights. Commissioners who voted for it said the alternative route would affect less rangeland and endangered species. The commission was not allowed to take into account the recent leak of the existing Keystone pipeline in South Dakota because pipeline safety is a federal responsibility. Opponents have filed a lawsuit challenging the commission’s decision, and the Nebraska Supreme Court is expected to hear oral arguments later this year. If opponents succeed, TransCanada would have to file for a new permit with the Nebraska Public Service Commission, triggering another review that could take up to a year. Pipeline foes said the company’s commercial support of 500,000 barrels per day from shippers was “shockingly weak” given that the pipeline was supposed to have the capacity for 830,000 barrels per day. They noted that 50,000 of those barrels per day will come from the Alberta Petroleum Marketing Commission, which is owned by the Alberta government. 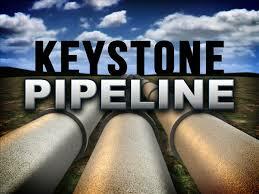 “The Keystone XL pipeline will never be built,” said Jane Kleeb, founder of the anti-pipeline group Bold Nebraska. The Nebraska commission’s vote to approve a route through the state removed one of the last regulatory obstacles for the project. TransCanada has said it still needs to gets permits to cross land held by the U.S. Bureau of Land Management in Montana, although that likely won’t be as large a hurdle as what the company faced in Nebraska. If completed, the pipeline would carry oil from Canada through Montana, South Dakota and Nebraska, where it would connect to an existing pump station in Steele City, Nebraska. From there it would continue through Kansas, Oklahoma and Texas until it reaches Gulf Coast refineries. Business groups and some unions support the project as a way to create jobs and reduce the risk of shipping oil by trains that can derail. President Barack Obama’s administration studied the project for years before finally rejecting it in 2015 because of concerns about carbon pollution. President Donald Trump reversed that decision in March. Federal approval was required because the route crosses an international border. In many South Dakota communities, Friday nights in the fall are set aside for high school football games. In smaller towns, continuing that tradition may depend on going to six-man teams. That possibility was discussed at Wednesday’s (Jan. 17) meeting of the South Dakota High School Activities Association board of directors. SDHSAA Assistant Executive Director John Krogstrand told the board that the matter had been discussed and unanimously endorsed by the football advisory committee. Krogstrand said that schools with an average daily membership of 100 or less were surveyed about the possibility of going from nine-man to six-man football. More than 40 percent of the 112 respondents showed some level of favorability to adding six-man football to the offerings of the SDHSAA. 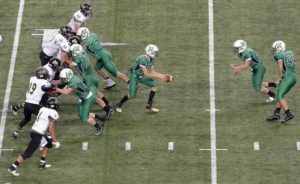 Notes from the advisory committee, available at the SDHSAA website at www.sdhsaa.com, say that adding six-man football would likely mean that fewer schools would offer nine-man football, requiring a realignment of the remaining nine-man teams. The advisory committee’s recommendation will now go to a meeting of the state’s high school athletic directors. Any action endorsed by the athletic directors would then need to come before the SDHSAA board for its approval. 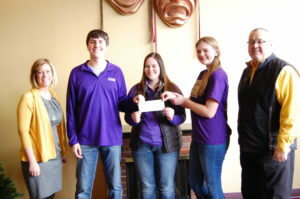 The Winner High School quiz bowl team competed in the Q 107.3 competition on Jan. 6 in Mitchell. The Winner team made up of Jacob Clay, Ronae Klein and Mary Calhoon took second place and won $500. In the first round, Winner battled McCook Central and came out on top 6-5. Both teams entered the competition with no losses. In the second round, Winner took on Hanson and were defeated by 2. The third and fourth round Winner defeated Hanson 6-4, 6-5. The final round, after two tie breakers, Winner lost by one to Hanson. The competition began with 32 teams with radio competition and eliminated several teams down to 8 teams that were able to travel to Mitchell for the live competition. Matches started in October and there were 63 total matches. Dr. Laura Handcock has become a partner at Animal Clinic of Winner. 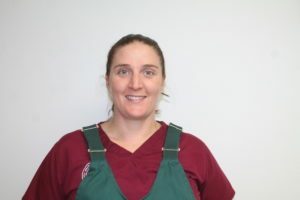 She has worked at the veterinary clinic in Winner for three years and became a partner before Christmas. The other partners are Dr. John Voegeli, Dr. Tom Covey, Dr. Eric Heath with Dr. C.A. Owen as an associate. Born and raised in Australia, Handcock is really excited to be partner. “As soon as I started working in Winner I wanted to be a partner as soon as I could,” she said.